Come down to the club for a fun night of lawn bowls ($5pp), tunes on the green,FREE Pool and all the specials to go with it. All your favourites including the best chicken schnitzels and chicken parmi’s in town, Beer battered fish, prawn cutlets, gyoza dumplings and our Fresh house made salt & pepper squid, all meals come with the freshest buffet in town. Summer poker at the club. 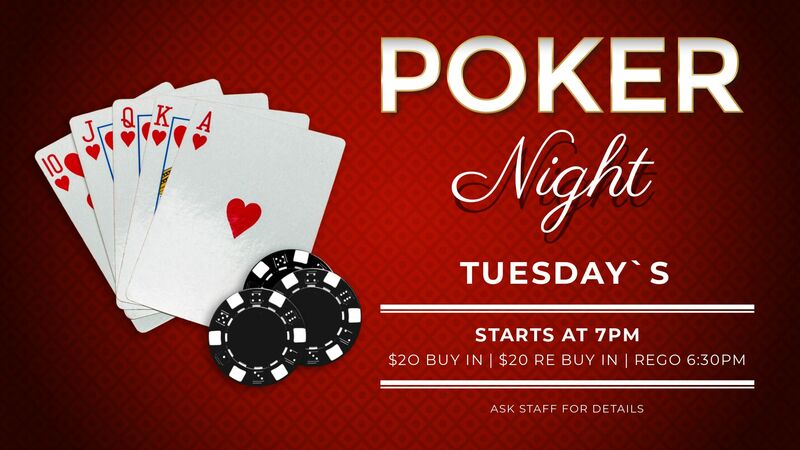 Come along each Tuesday night from October 8th for a great night of cards. $20 Buy-In with unlimited re-buys until the break. Contact the Club: 6456 2133 or check or Facebook page for more info. 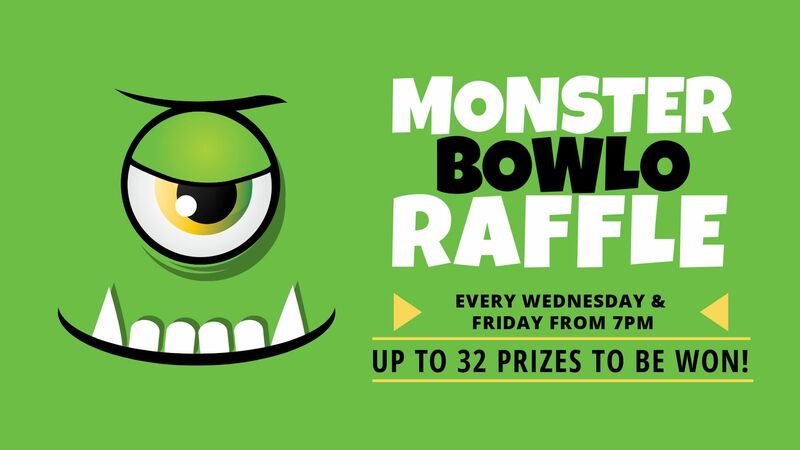 Come along each Wednesday and Friday for your chance to win from a huge selection of prizes each week including; Cash, Wine, Beers, Vouchers for the Club and local businesses plus Roasts, T-Bones, Mixed Grill packs, Meat and Veg packs, Bacon and Eggs and more all from our friends at the Jindabyne Butchery. The members badge draw follows the club raffles each Wednesday and Friday night and when the Badge Draw reaches $1000 it must be won! Membership is only $11 so sign up today! The weather is getting cooler and that means its time for Footy at the club! Come along to catch all the NRL action each week across the biggest and best screens in town + AFL, Super Rugby, A-League, Golf, Tennis, MotorSports, NHL, Cricket, Darts and more!! FOOTY TIPPING COMPETITION OPEN NOW !! Pay your $20 Registration fee before March 1st to receive a FREE Jug of Beer. Cash Prizes and NRL Grand Final Tickets up for grabs. Come enjoy the best racing from Australia and around the world across eight new screens in our newly renovated sports central TAB. Experienced TAB operators, full race programmes, EBT and Trackside plus Glenn Robbins Bet Busters guide every Wednesday, Saturday and Sunday FREE to all punters. Come treat yourself to Sunday Roast each week at the club. Only $15 for your choice of roast with the freshest buffet in town. The club has two pool tables available for play, FREE, seven day a week + Buckhunter HD, Vintage Table Games, Arcade Machines, Pinball and Skill Testers as well as old favourites like Chess, Backgammon and Playing Cards behind the bar, just ask one of our friendly staff members.